Lew and Alma Clark opened the doors to their veterinary clinic in 1961, when Kirkland was a quiet town and it wasn’t a surprise to see a horse or cow as a patient. Now Lew and Alma’s son, Michael Clark ’80, ’85 DVM, sees the descendants of their first patients in a building designed by his architect brother Jeff ’83 and opened last year on the original site overlooking Lake Washington. When Lew Clark ’56 DVM, who passed away in 2008, came to Kirkland with the family, he probably couldn’t anticipate the growth of the area or the role he would take as a community icon. Judi Clark ’79, ’81 MA, Michael’s wife and manager of the Juanita Bay Veterinary Hospital, remembered Doctor Clark as her family’s vet when she was five. Alma Clark, who studied fine arts at WSU, worked as the veterinary assistant in the hospital as the boys grew up. They lived the first five years in the temporary clinic, building a loyal clientele. They opened a new building on the site in 1969. “My mother-in-law talks about the time she woke up and looked out her window, and there’s this guy on his horse asking if the doc is in,” says Judi. She and Michael started seeing each other in high school and have been together for 40 years. Michael and Judi, and then Jeff, followed Alma and Lew to Pullman and WSU. The brothers were in the Sigma Nu fraternity; Judi pledged at the Gamma Phi sorority. While Michael worked on his veterinary doctorate, Judi taught early childhood development classes as a faculty member at the University. Jeff met and married Sharon ’80, an art major, Judi’s roommate and Gamma Phi sister at WSU. 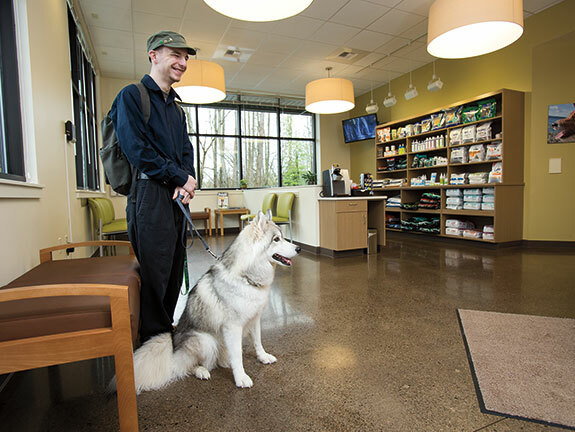 Judi and Michael returned to Kirkland, where Lew had opened a second veterinary clinic. Michael joined the practice at that second location. When his dad was getting ready to retire, they sold the second place and consolidated at the old clinic on Juanita Bay. Michael and Judi bought the hospital in 2005 and renamed it Juanita Bay Veterinary Hospital. Jeff followed a different path into architecture. “Michael and I both worked in the vet hospital from the time we were 12. I loved the animals but I didn’t love the science side,” he says. 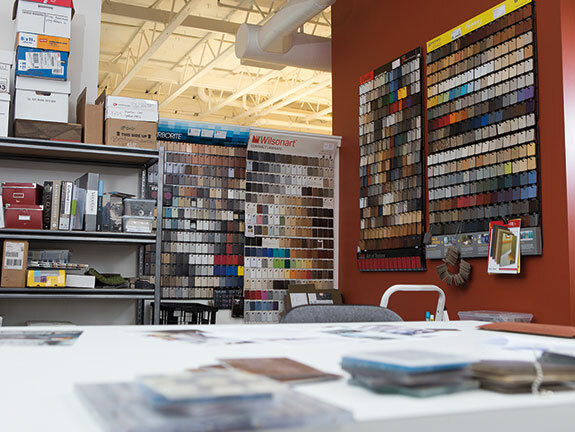 He joined the firm Architectural Werks in 1983, where he is now president and a principal. Although Jeff’s work has covered a variety of commercial areas, one speciality is in animal health care. His firm has completed more than 250 large and small animal veterinary hospitals, boarding and day care centers, emergency specialty centers, rehabilitation facilities, and animal shelters. His family background serendipitously led to his architectural work in veterinary medicine. “One of my dad’s friends found me and thought I might know more about veterinary facilities than anybody else in the area,” says Jeff. Jeff and Michael’s paths converged at Juanita Bay two years ago. Michael’s practice was growing along with the need for a new facility as the 1969 building aged. “The facility was getting tired. We kept trying to remodel it, but it made no sense,” says Jeff. Using his knowledge of veterinary and medical architecture, Jeff designed a new building on the same property as the old clinic. They decided to do something different, though, with the veterinary hospital on the first floor and the architecture offices on the second. Early in the process, they weren’t sure it could work. “When we started, we had a dinner and asked ourselves, ‘Is it worth it? Should we keep going?’” says Judi. But they kept moving ahead with the plan. 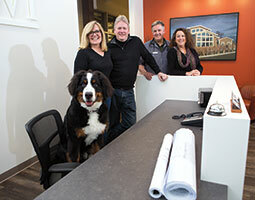 The resulting new home for their businesses exceeded expectations. The modern structure opened up the veterinary practice and allowed them to double the staff and the number of operating rooms. Sunlight pours into the waiting room and high-ceilinged exam room, and patients can see through the trees to Juanita Bay. The dogs really enjoy that, says Judi. “Between outside distraction and the half-door, dogs don’t feel closed in and we rarely hear the defensive bark,” she says. Cats have different needs, says Judi, so they have a quiet cat ward inside the building. A surgery room, observation area, and doctors’ and staff offices are all accessible by polished concrete floors and stocked with digital X-rays and monitors. The practice does dental work, and has incorporated alternative medicine like animal acupuncture as well. Behind the building, a fenced-in run with easily cleaned artificial turf gives the doctors a chance to keep tabs on dogs moving and making movements. Throughout the hospital, the doctors and staff can keep the animals active and happy. “It’s so much easier to get things done with more space,” says Judi. Alma took up art after she retired from the veterinary practice, and her paintings decorate many of the walls throughout the hospital. Upstairs at Architectural Werks, Jeff gave the offices an open, industrial flair, with ductwork visible in the tall ceilings. 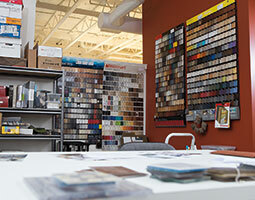 Plenty of natural light from surrounding windows helps when Jeff and his staff show materials to clients. In Jeff’s office, photos of classic cars cover the walls. A car buff, he restores the vehicles with a WSU and Sigma Nu friend, Rod Epps ’80. Michael and his staff have embraced the community as well. They’ve started popular presentations every Thursday evening for pet owners, bringing in external speakers on topics like dog and cat behavior.